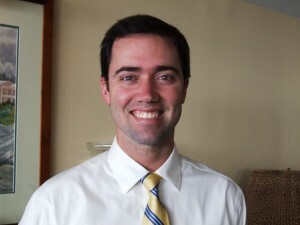 The Reefs Hotel & Club has promoted David Dodwell, Jr. to Resort Manager. In the new role, Mr Dodwell will oversee the daily operations of both the beachfront hotel and The Reefs Club’s 19 private beachfront residences. Son of former UBP Tourism Minister and The Reefs President David Dodwell, Mr Dodwell officially joined The Reefs management team more than two years ago and previously held the role of Director of Rooms. Prior to working at The Reefs, Mr Dodwell spent two years at 9 Beaches Resort also in Bermuda. His industry experience has included positions in Boston, California and Oregon. David holds a master’s degree in Hospitality Management from the Cornell University School of Hotel Administration. “David has demonstrated his management skills as he has undertaken increasing responsibility at The Reefs Hotel & Club. I have no doubt that he will be successful in this important role,” comments his father David Dodwell, the President of The Reefs Hotel & Club. In July 2009, The Reefs extended its intimate atmosphere, fine dining, secluded pink sand beach and attentive personal service to The Reefs Club. Ocean views can be found throughout every bedroom, living room and veranda of each of The Club’s 19 fully furnished two- and three-bedroom luxurious residences which are vailable on a fractional ownership basis beginning at $350,000.